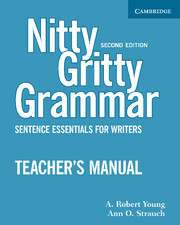 Nitty Gritty Grammar, Second Edition, focuses on essential areas of English grammar that cause difficulty for developing writers. This Teacher's Manual provides teaching suggestions, hints about trouble spots and how to handle them, additional examples for use in presenting the grammar points, and a complete answer key. 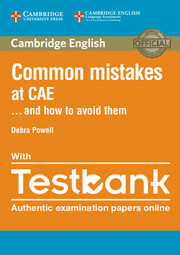 Focuses on the real mistakes students make in the exam and shows how to avoid them.